Hey everyone! Its been a couple of days since I posted something up. Well tonight I am going to post some things I have cooked up. On Friday I made a lot of things. My aunt and her family came on Friday and my mom was at work. It was me, and my grandparents at home so I offered to make some of the food. I wanted to make some type of cookie but I was a bit low on baking ingredients like the brown sugar and chocolate chips. 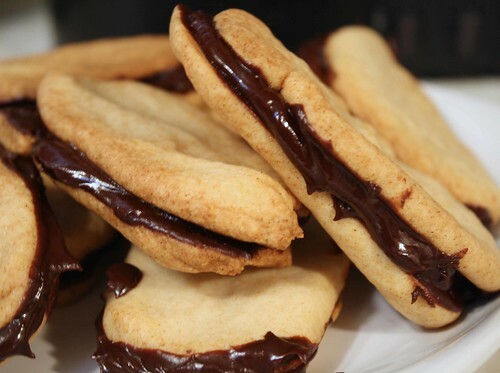 I went to Isa’s old blog and saw Vegan Milano cookies. I had most of the ingredients except for bittersweet chocolate, I had only unsweetened but I fixed that up my putting some sugar in it. These cookies were good but it took forever to bake them because my oven keeps shuting off!! Well anyway I made 3 more things that night. 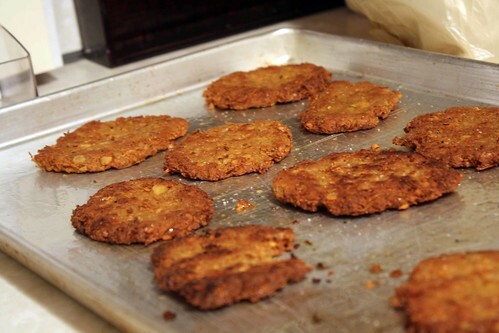 I made the famous chickpea cutlets baby size! I wanted to make mini versions of them so my aunt and her family would be more willing to try them. They went really good as always. Their were no leftovers. I also made my favorite broccoli recipe from the Mediterranean Vegan Kitchen Cookbook. 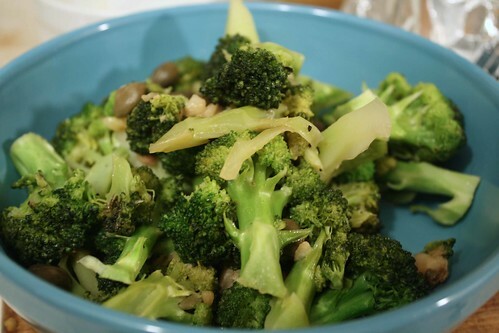 It’s the best broccoli I have ever had, its called Sicilian Style Broccoli. Basically you simmer it in vegetable broth, garlic, and capers. Its so so good! Lastly I made some rice pilaf which I adapted from the Mediterranean Vegan Kitchen Cookbook. I also served my mom’s Albanian Beans, which my mom made this time. My grandpa also had to have meat as he thinks you have to serve people meat. Oh well at least everything else was vegan! Saturday I made some hummus! I love hummus! Its seriously my favorite food, I could eat it all day and I have done that a few times! I am still working on the perfect recipe. I finally achieved the creamy consitensity. Today it was super creamy. It was a bit dense because I added a bit more tahini than normal like 6 tablespoons. I used the v’con recipe this time and I liked it but I still think it needs more lemon. I just love lemon and can’t get enough of it. Overall the hummus was great! I ate the whole bowl below for dinner! I ate it was some Ritz crackers! It was awesome!! 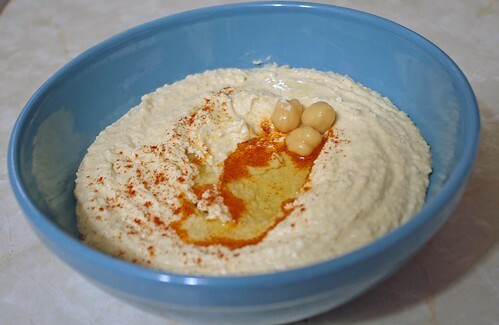 Tonight I found an awesome blog all about hummus! It’s so cool. It has very good information about hummus making!